A one-of-a-kind retreat for restaurant development, design, construction leaders. In 2012, UC Merced was facing financial trouble and uncertainty like many universities affected by the recession. 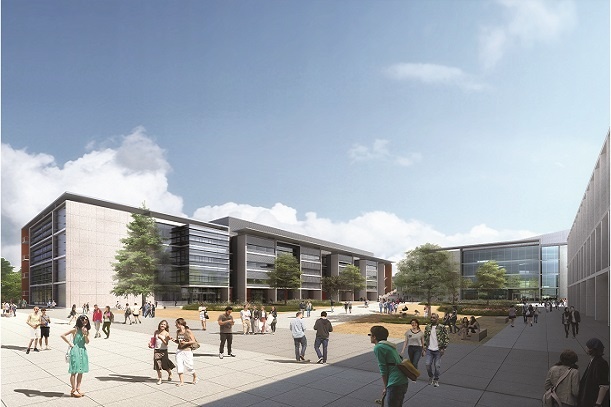 At a time when state investment was nearly non-existent, the youngest UC campus was asked to double enrollment--a goal that required doubling their physical capacity on a fast-approaching timeline. Out of this challenge, an innovative delivery model was born. 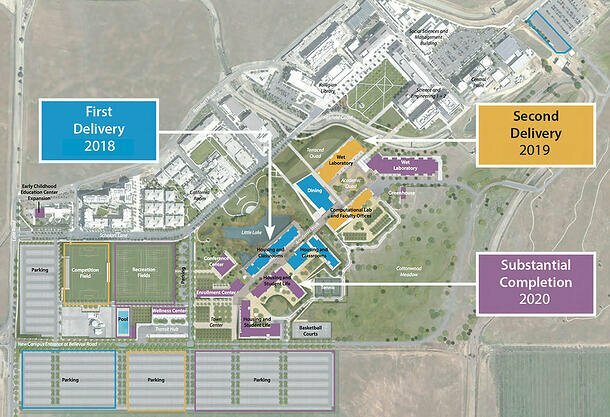 The UC Merced 2020 Project is the first of its kind: an ambitious $1.3 billion P3 expansion of the campus to be completed in phase over four years, then privately operated for 35 years after that. At the Higher Ed Facilities Forum, Daniel Feitelberg, then Vice Chancellor for Planning & Budget at UC Merced, discussed the integrated delivery strategy. A national conversation about the tremendous backlogs in Higher Ed is past-due. “69% of Americans believe we need to make a major investment in our infrastructure, but we can’t just build new. We need to maintain facilities in the long-term despite existing budgetary constraints,” said Feitelberg. Merced’s solution? Shift resources from other priorities into maintenance at a policy-level in a way that has never been done before.The financial crisis and budget cuts in California triggered the creation of a customized, 39-year P3 variant known as an availability payment concession. To remain durable, Feitelberg believes it’s essential to answer questions about maintenance up front. “After reviewing all of our options, we chose to bundle our projects into a single project because of time sensitivities and to allow an economy of scale that could help us address design challenges of developing a mixed-use academic community,” Feitelberg said. In the end, the development approach brings together several functional and financial benefits of different alternative delivery strategies for education infrastructure. 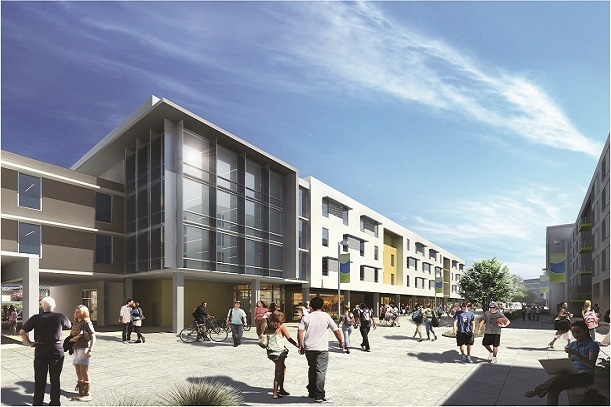 The project will be financed through a combination of bonds issued by the UC system, campus funds, and privately placed bonds and equity arranged by Plenary Properties Merced (PPM). Merced will make predetermined progress payments to Plenary during construction, and once the buildings are available for us, performance-based availability payments will be paid to cover the remaining capital costs, operations, and maintenance. 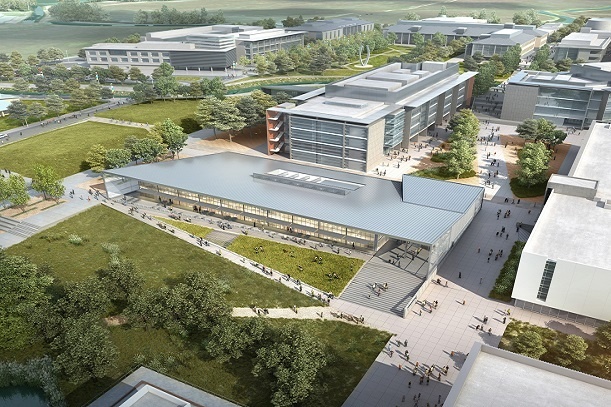 The campus will be able to accommodate 10,000 students (up from about 6,600) once the UC Merced P3 expansion is complete, and will play a key role in fostering educational attainment and jobs in the most underserved region of California. About $1.9 billion in economic growth will be stimulated in an area that was largely ignored as other parts of the state accelerated into the 21st century. 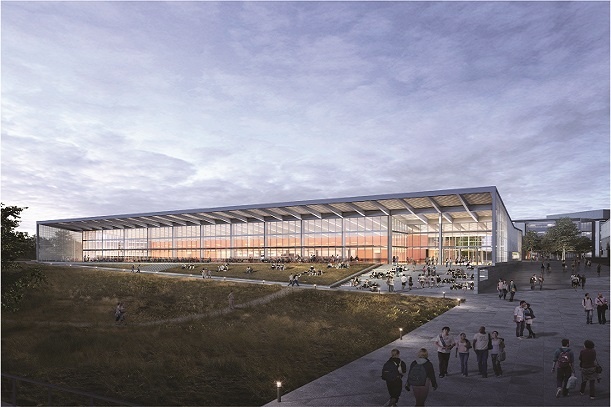 The model enables UC Merced’s civil and social infrastructure to last the test of time, achieving good building performance throughout their life cycles. The process also fostered market competition across the total cost of ownership. “In our minds, it is design-build-plus. The ‘plus’ is a long-term performance management contract built into the structure with financing being the mechanism by which we ultimately transfer risk to the developer,” Feitelberg said. Before kicking off, Merced had to navigate the significant politics of introducing a new structure within the delivery process. Many questions were vetted in the public domain, but this ultimately allowed for refinements to the project that led to a better outcome. Despite the challenges of early negotiations, the support of the nine other UC campuses was unwavering--even when investments in Merced came to the detriment of their own projects. A shift in focus from input specifications to an outcome-based approach prompted important questions: What is the condition of our facilities? What do we need to provide for our facilities to thrive? “Our stakeholders moved away from selecting technology and instead on developing those policies and performance measures to require that in the design. Rather than determining double-pane windows or a particular HVAC system, we turned to developing sustainability requirements that our buildings need to perform better,” he said. Giving up the selection of technology choice, and putting it on the concessionaire, meant giving up a degree of control over the design. However, it made room for the development of performance specifications and allows the team to hold stakeholders accountable for the choices that they make in order to achieve the policy objectives. In the end, this new approach allows Merced to keep up with their core mission: teaching, research, and public service. Statistics show just how important this mission is to create opportunities for the San Joaquin Valley region. More than 60% of UC Merced’s students are on Pell grants, and 70% are the first in their family to get college degrees. And after just 11 years, the school has earned a spot on the US World & News Report Card. 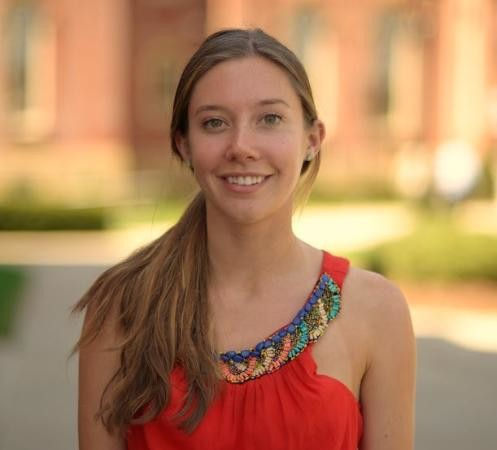 Hannah Chenoweth is a writer for influence group. Passionate about collaborating with thought leaders in real estate, design, construction & facilities management. An invite-only gathering of senior administrators from the nation’s leading colleges and universities. How Can Universities Strengthen Town-Gown Relations? How Can Facilities Better Align with the Academic Mission? When Is A Building More than A Building? Financing Energy Efficiency Projects: Mission Impossible? Learn more about the innovations in Higher Ed Facilities. By entering your email you expressly consent to receive our newsletter and other material related to the Higher Ed Facilities Forum.